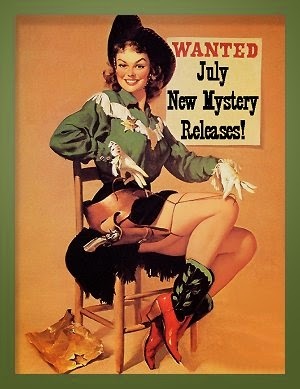 July 2014 New Mystery Releases! I don't know about the rest of you, but I'm getting a lot of prime reading done so far this summer. Of course, it doesn't hurt that I get to sit out in the shady end of my pool while doing so. If I had a heated pool and could read out there all year long, I'd probably develop webbed fingers and toes. Well... at least toes! I'm definitely making dents in my to-be-read shelves, but you know me-- I'm always on the lookout for new books to read. 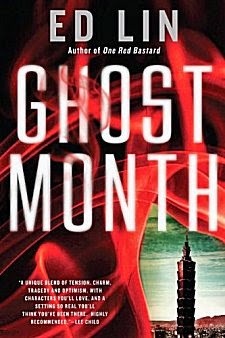 These are my picks for new mysteries arriving throughout the month of July. They are sorted by release date, and I've listed all the information you'll need to find them at your favorite book procurement sites. Book synopses are courtesy of Amazon. Synopsis: "World War II rages on across Europe, but Maggie Hope has finally found a moment of rest on the pastoral coast of western Scotland. Home from an undercover mission in Berlin, she settles down to teach at her old spy training camp, and to heal from scars on both her body and heart. Yet instead of enjoying the quieter pace of life, Maggie is quickly drawn into another web of danger and intrigue. When three ballerinas fall strangely ill in Glasgow—including one of Maggie’s dearest friends—Maggie partners with MI-5 to uncover the truth behind their unusual symptoms. What she finds points to a series of poisonings that may expose shocking government secrets and put countless British lives at stake. 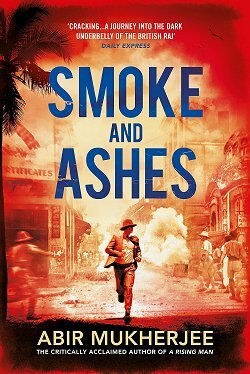 But it’s the fight brewing in the Pacific that will forever change the course of the war—and indelibly shape Maggie’s fate." Clyde already has her hands full with her eccentric family, runaway nephew, and burgeoning secret romance with a hunky homicide detective. 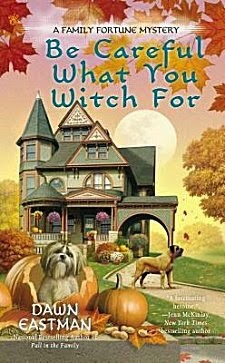 But after another coven member is attacked, Clyde suspects there’s a witch hunt afoot and focuses her psychic and sleuthing skills to clear her friend’s name and catch a killer." Synopsis: "After a banking scandal loses Georgia her job and fiancé, she decides that a change of scenery will help piece her life back together. But escaping to her grandfather’s house in the old-fashioned, brick-making Hudson River hamlet of Wenwood, New York, turns out to be less relaxing than she expects. Not only is the close-knit community on edge about their beloved brickworks being turned into a marina to draw in tourists, one of those most opposed to the project winds up dead—cracked over the head with a famous Wenwood brick. Georgia wouldn’t be broken up over the news except for the fact that the main suspect is the deceased’s biggest adversary—her grandfather. 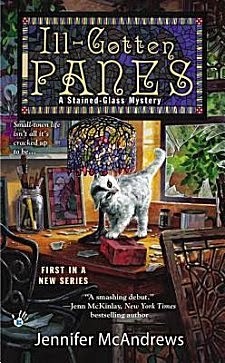 Now, to remove the stain from her grandy’s record, Georgia will have to figure out who in town was willing to kill to keep the renovation project alive, before someone else is permanently cut out of the picture…"
Synopsis: "Much to Alanis McLachlan's surprise, her estranged con-woman mother has left her an inheritance: The White Magic Five & Dime, a shop in tiny Berdache, Arizona. Reluctantly traveling to Berdache to claim her new property, Alanis decides to stay and pick up her mother's tarot business in an attempt to find out how she died. With help from a hunky cop and her mother's live-in teenage apprentice, Alanis begins faking her way trough tarot readings in order to win the confidence of her mother's clients. 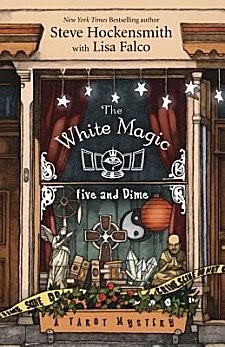 But the more she uses the tarot deck, the more Alanis begins to find real meaning in the cards ... and the secrets surrounding her mother's demise." Synopsis: "Everyone in Painters Mill knows the abandoned Hochstetler farm is haunted. But only a handful of the residents remember the terrible secrets lost in the muted/hushed whispers of time—and now death is stalking them, seemingly from the grave. And, as Kate knows—the past never truly dies . 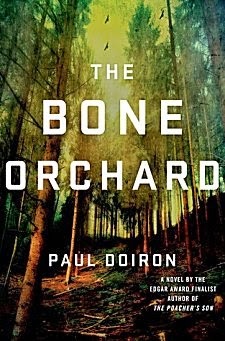 .."
Synopsis: "In the aftermath of a family tragedy, Mike Bowditch has left the Maine Warden Service and is working as a fishing guide in the North Woods. But when his mentor Sgt. Kathy Frost is forced to kill a troubled war veteran in an apparent case of "suicide by cop," he begins having second thoughts about his decision. Now Kathy finds herself the target of a government inquiry and outrage from the dead soldier's platoon mates. Soon she finds herself in the sights of a sniper, as well. When the sergeant is shot outside her farmhouse, Mike joins the hunt to find the mysterious man responsible. To do so, the ex-warden must plunge into his friend's secret past—even as a beautiful woman from Mike's own past returns, throwing into jeopardy his tentative romance with wildlife biologist Stacey Stevens. 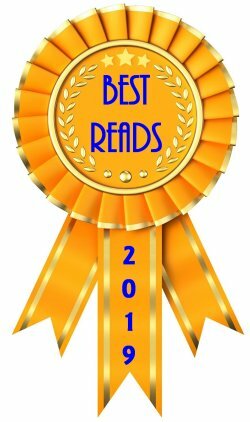 As Kathy Frost lies on the brink of death and a dangerous shooter stalks the blueberry barrens of central Maine, Bowditch is forced to confront the choices he has made and determine, once and for all, the kind of man he truly is." Synopsis: "It’s everyday business when Wattles, the San Fernando Valley’s top “executive crook,” sets up a hit. He establishes a chain of criminals to pass along the instructions and the money, thereby ensuring that the hitter doesn’t know who hired him. Then one day Wattles finds his office safe open and a single item missing: the piece of paper on which he has written the names of the crooks in the chain. When people associated with the chain begin to pop up dead, the only person Wattles can turn to to solve his problem is Junior Bender, professional burglar and begrudging private eye for crooks. But Junior already knows exactly who took Wattles’s list: the signature is too obvious. 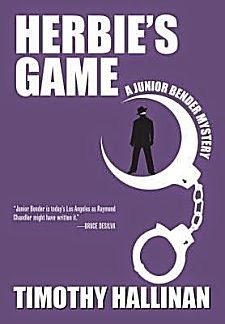 It was Herbie Mott, Junior’s burglar mentor and second father—and when Junior seeks him out to discuss the missing list, he finds Herbie very unpleasantly murdered. Junior follows the links in the chain back toward the killer, and as he does, he learns disturbing things about Herbie’s hidden past. He has to ask himself how much of the life he’s lived for the past twenty years has been of his own making, and how much of it was actually Herbie’s game." 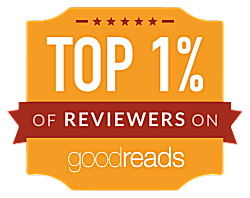 Synopsis: "Critically acclaimed author Ben H. Winters delivers this explosive final installment in the Edgar Award winning Last Policeman series. 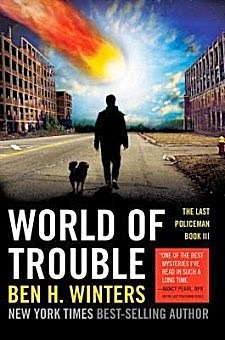 With the doomsday asteroid looming, Detective Hank Palace has found sanctuary in the woods of New England, secure in a well-stocked safe house with other onetime members of the Concord police force. But with time ticking away before the asteroid makes landfall, Hank’s safety is only relative, and his only relative—his sister Nico—isn’t safe. Soon, it’s clear that there’s more than one earth-shattering revelation on the horizon, and it’s up to Hank to solve the puzzle before time runs out . . . for everyone." 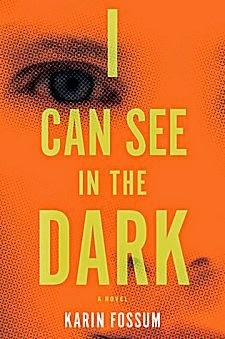 Synopsis: "Sheriff Joanna Brady must solve two perplexing cases that may be tied together in New York Times bestselling author J. 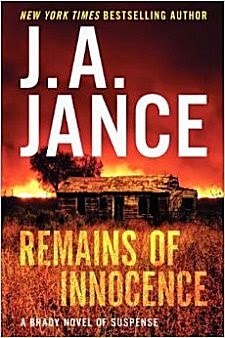 A. Jance’s thrilling tale of suspense that brings to life Arizona’s Cochise County and the desert Southwest in all its beauty and mystery. Tracing the money’s origins will take Liza on a journey that will end in Cochise County, where Sheriff Joanna Brady is embroiled in a personal mystery of her own. A man she considers a family friend is found dead at the bottom of a hole in a limestone cavern near Bisbee. And now there is the mystery of Liza and the money. Are the two disparate cases connected? It’s up to Joanna to find out." 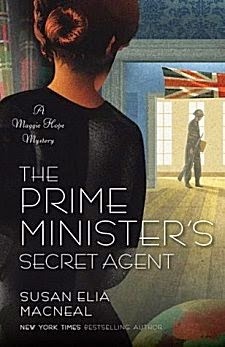 Synopsis: "In the third novel in this highly praised mystery series, Edie Kiglatuk works as a summer school teacher in the Canadian arctic. 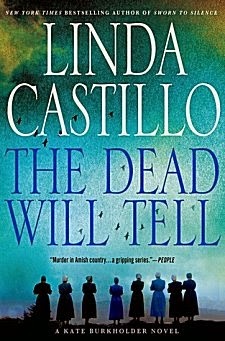 When one of her female students is found dead in nearby Lake Turngaluk, Edie enlists the help of Sergeant Derek Palliser to pursue the case, promising the girl’s Inuit family that they will uncover the truth. Meanwhile, lawyer Sonia Gutierrez investigates the toxicity of the lake and suspects that there might be a larger conspiracy involved. As the three clamber over rocky terrain under twenty-four-hour daylight they start to unearth secrets long frozen over—risking their own lives in the process. 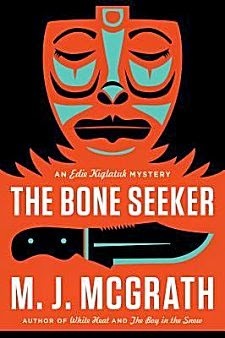 With stunning prose, M. J. McGrath delivers another thrill ride through a hauntingly beautiful landscape." Synopsis: "Riktor doesn’t like the way the policeman storms into his home without even knocking. He doesn’t like the arrogant way he walks around the house, taking note of its contents. The policeman doesn’t bother to explain why he’s there, and Riktor is too afraid to ask. He knows he’s guilty of a terrible crime and he’s sure the policeman has found him out. But when the policeman finally does confront him, Riktor freezes. The man is arresting him for something totally unexpected. Riktor doesn’t have a clear conscience, but the crime he’s being accused of is one he certainly didn’t commit. Can he clear his name without further incriminating himself?" Synopsis: "August is Ghost Month in Taiwan—a time to commemorate the dead: burn incense, visit shrines, honor ancestors, and avoid unlucky situations, large purchases, and bodies of water. Jing-nan, a young man who runs a food stand in a bustling Taipei night market, doesn't consider himself superstitious, but this August is going to haunt him no matter what he does. He is shocked to the core when he learns his ex-girlfriend from high school has been murdered. She was found scantily clad and shot on the side of a highway where she was selling betel nuts to passing truck drivers. Beyond his harrowing grief for his lost love, Jing-nan is confused by the news. "Betel nut beauties" are usually women in the most desperate of circumstances; the job is almost as taboo as prostitution. But Julia Huang had been the valedictorian of their high school, and the last time Jing-nan spoke to her she was enrolled in NYU's honor program, far away in New York. The facts don't add up. Julia's parents don't think so, either, and the police seem to have closed the case without asking any questions. The Huangs beg Jing-nan to do some investigating on his own—reconnect with old classmates, see if he can learn anything about Julia's life that she might have kept from them. Reluctantly, he agrees, for Julia's sake. But nothing can prepare him for what he learns, or how it will change his life." What about all of you? 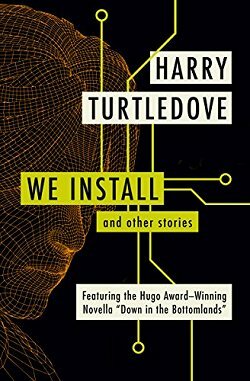 Do any of these titles make your Need to Read lists? Do tell! Omigosh! I'm so far behind, still catching up on months of new books. The McGrath and Ed Lin, as well as others are tempting. I hope my library gets them because I'm trying not to add up the credit card debt. You're welcome, Kathy! One thing that I've noticed with my Pinterest boards-- one of which is labeled "Books to Look Forward To" (i.e., New Releases)-- is that a few libraries follow the new release board and will pin things from it to their boards. I hope that means they are ordering the books! with more esoteric or global crime fiction. have to go up there to sit and read the book. It's nuts and impossible for most.